Won't somebody please think of the Gwyneth Paltrow!? The lifestyle guru spoke at Cannes Lion and reacted to topping a 2013 tabloid survey of the Most Hated Celebrities, recalling, "I was like, 'I'm the most hated celebrity? More than, like, Chris Brown?' What did I do?" 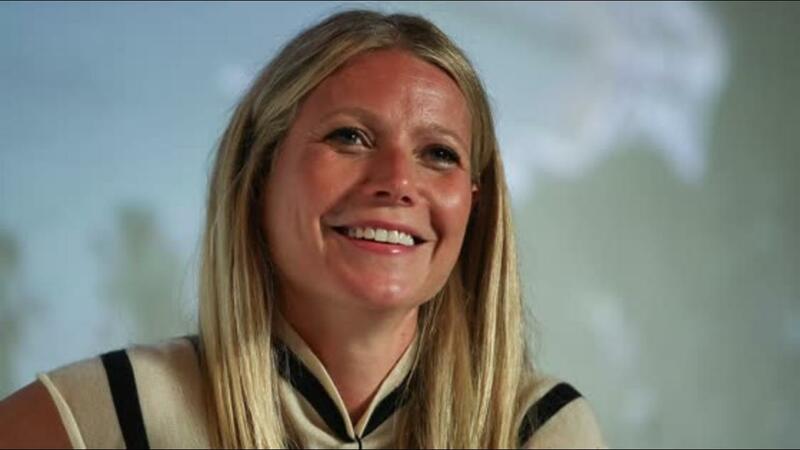 "All I can do is be my authentic self," Paltrow defended herself during the conversation with BBC News' Stephen Sackur. "If you know me, then you know who I am and that I have fun and eat and am so appreciative for my life. But I think there are things about me that make people draw conclusions." The 43-year-old actress acknowledged the perception that she was born "with a silver spoon." "That inspires a lot of resentment," Paltrow said. "My parents did well, and I was able to go to a fantastic school...The minute I left my college to try to pursue acting, my father was really supportive. But he said, you know, 'You are completely on your own.' He never gave me anything...So, the idea that I am spoiled or that I didn't work for what I have is just not accurate." "People tend to think that I eat just seaweed and a bit of air," she continued of another misconception, revealing, "I have never had a horrible experience with French fries. French fries are my life!" Paltrow also addressed backlash from her now-infamous "conscious uncoupling" with ex-husband Chris Martin in 2014 and how she didn't know it was going to "inspire so much conversation." "It's funny, because at the inception, everyone was like, 'What the hell is this? These people are crazy!' And that's true," she said with a laugh. "Over time, now what I hear is, 'Thank you so much for showing me another way that you can remain a family -- even though you're not a couple -- and make it a less traumatic experience for the kids.'" RELATED: Gwyneth Paltrow Goofs Off With Ex Chris Martin at Disneyland for Apple's Birthday: See the Selfie! "I think ultimately it's had a very positive impact," she added. Paltrow and the Coldplay frontman only just agreed to their divorce terms in March, but have remained amicable since breaking up and have been spotted together a number of times with their kids, 12-year-old Apple and 10-year-old Moses. "I'm very proud of it. I'm very proud of us," she concluded. "As anybody who has been divorced knows, you have to put aside quite a lot to maintain that commitment to stay a family for the sake of the children...Sometimes that's quite tough on a personal level, but it's a commitment I make every day to my children -- that I adore their father and that we're in a family even though we're not in a romantic relationship." Find out more about the legal side of the conscious uncoupling in the video below.